We are an accounting company based in Fareham, Hampshire, serving individuals and small to medium sized businesses across the South of England. 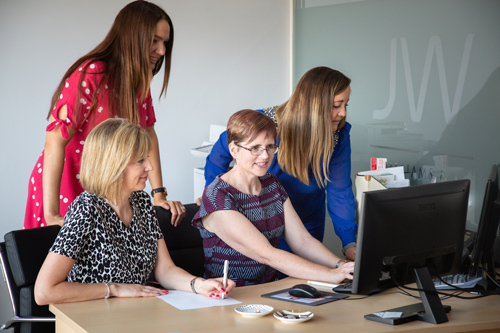 J Williams & Co provides chartered accounting for a wide range of personal and small to medium sized businesses in Fareham and across Hampshire. Our number one priority is to offer a tailored service to every client and one which is timely and efficient. With many years of experience in accounting, Jeri our director is able to offer a pro-active service to all of our clients. We pride ourselves on being able to offer the personal service of a small company alongside tax planning advice and solutions whenever our clients require it. J Williams & Co are able to support small businesses with their everyday accounting requirements from Portsmouth to Southampton. To us it doesn’t matter where your small business is based we can help. Contact the team in Fareham today and see how we can help your business grow. J Williams & Co are proud to have won The Business News Excellence Awards for start-up business of the year in 2018. The awards recognise, reward and celebrate all the successful businesses and professional individuals within Portsmouth and surrounding areas. 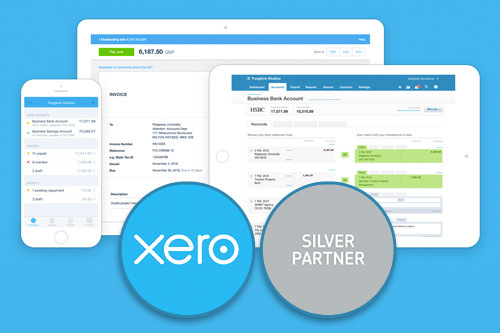 We recommend Xero online accounting software to all of our clients. It’s cloud based and easily allows you to track all your business finances in one seamless online application. We specialise in accounting for small to medium sized businesses. We can help you with all aspects of accounting services. From setting up a limited company to VAT returns. We have many happy customers from a range of businesses across Hampshire, Dorset, Wiltshire and the South. Take a moment to read and visit our Google Business page for more customer reviews. You can also leave the team a Google review or Facebook recommendation. Jeri and her amazing team have been looking after our accounts for years now. Always warm and friendly, and give excellent advice! Especially helpful when explaining taxes and laws to someone pretty clueless like myself, without being patronising. It's clear to see why this company is going from strength to strength and winning awards, but hats off to Jeri for making this company so special. Jeri has been my accountant for five years. All I can say is that if anybody needs an accountant I always recommend her company. They are friendly, proactive and know what they are doing. All this and their fees are realistic too. If you are looking for a modern, fresh, no nonsense team of positive accountants, look no further. Finally an accountant that doesn't charge you for a meeting or to speak on the phone! HIGHLY RECOMMENDED!!! Jeri has been the accountant for YesCanDo for many years. J Williams & Co look after our accounts and bookkeeping, they always go the extra mile on both advice and also customer service. Highly Recommended! As a first time landlord, I was not prepared for the self assessment tax return from HMRC. I contacted J.Williams & Co after reading there on-line reviews and was immediately put at ease. Jeri and her team are always ready to provide great advice with all paperwork done efficiently and with no fuss. They have been an invaluable asset to me and I would highly recommend them to any landlord or business in need of a reliable, honest and friendly accountancy firm. Jeri and her team are so friendly and down to earth but also very knowledgeable and professional. I set up a meeting with Jeri shortly after going self-employed. It was a massive leap for me to start my own business and I found Jeri so reassuring and she really inspired me that I could grow my own successful business. She has not only been helpful as my accountant but also with building my own business. I look forward to working with Jeri and the rest of her team for many years to come. I would not hesitate to recommend them for all of your accounting needs. I would thoroughly recommend Jeri and the team. I approached Jeri with something I needed support with and immediately received a response. No less than a few hours later, I had all the answers I needed in order to make a fully informed decision. Nothing was too much trouble. If anyone in my network is seeking accountancy advice/services, please do not hesitate to get in touch with Jeri and the team! I've been working with Jeri for a number of years now, and when I heard J Williams and Co was taking on new clients, I jumped at the opportunity to work with them. The attention to detail, utilisation of new technologies and helpfulness of the staff all come together to create a completely seamless and incredibly effective accounting practice. By using the techniques, tools, and advice that I've gained from working with J Williams & Co, I have already saved not only money, but also countless hours of head scratching, bookkeeping, and general accounting pain. I can only recommend their service and will continue to recommend them to my peers and colleagues.